Graphs are supposed to be hard math, but this one is anything but. 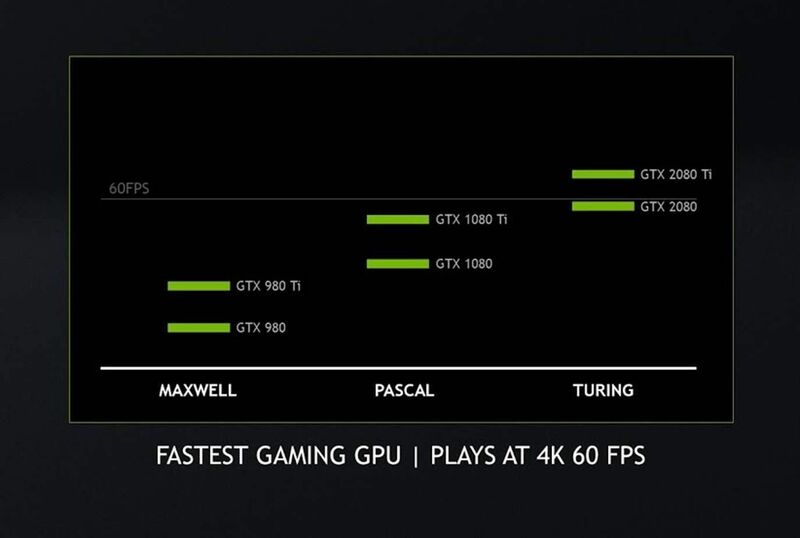 The axis isn’t labeled, and the cards aren’t arranged quite like you’d expect going off pure performance results: The GTX 1070 was faster than the GTX 980 Ti, but this graph has the GTX 1080 just a hair above it. The chart also doesn’t disclose what games or graphics settings generated these results. 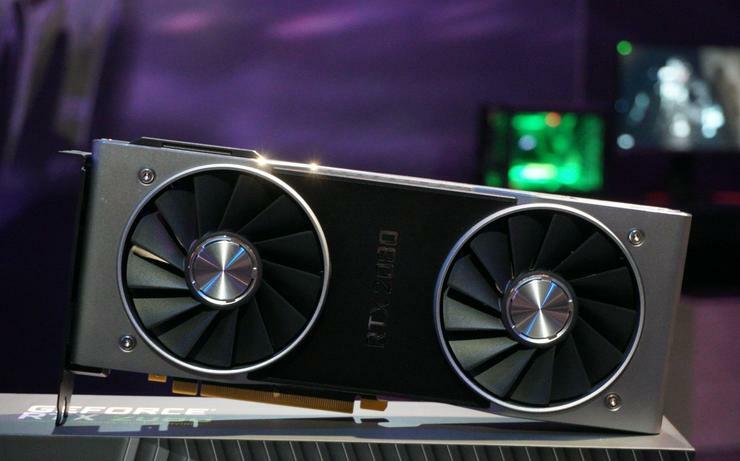 And is it my imagination or is the gap between the two “Turing” RTX cards slightly smaller than the gap between the previous generation GPUs? 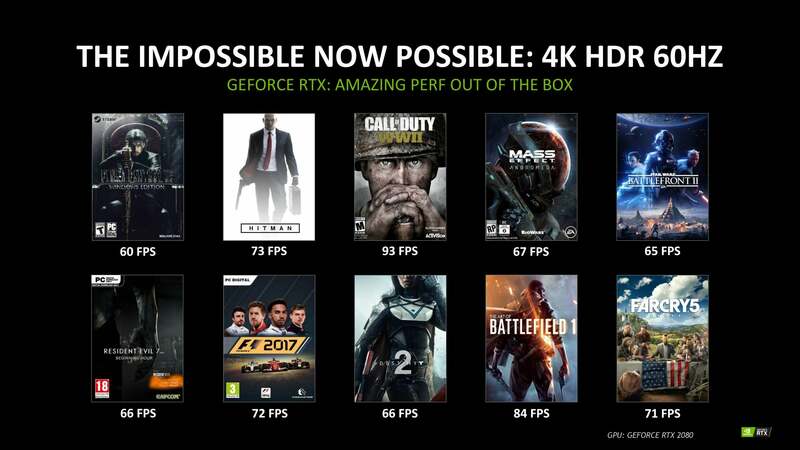 There’s no doubt what this image declares though: Both new GeForce RTX graphics cards will be faster than anything previously released. Despite the GeForce RTX 2080 sitting just below the 60fps line in the image above, Nvidia previously claimed that it will surpass that mark in many modern games, although it didn’t share what graphics settings the card was tested with.